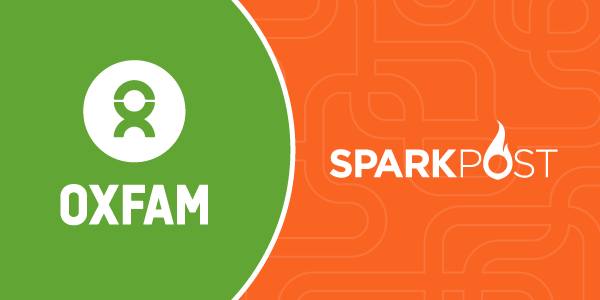 November – it’s the month of Thanksgiving, awareness, and, for some people like my brother, ‘No Shave November.’ For us at SparkPost, we’re excited about doing some good with email through our SparkPost Giving Program. If you haven’t already heard, Jen just announced this new SparkPost Giving Program 2016 last week. For the entire month of November, SparkPost will donate $5 to one of three charities of your choice when you create a new account with us (even free accounts are eligible!) It’s as easy as pumpkin pie (or apple, for you Thanksgiving rebels)! One of the three organizations we’ve teamed up with is Oxfam International. Before I get into the details of today’s Oxfam feature, first, a little history lesson. I promise not to put you to sleep! In 1942, when you and I were probably not even a thought, a group of Friends, better known as Quakers, convened in Oxford, England. They opened up a little corner shop called Oxford Committee for Famine Relief. Now, if I remember correctly from all my high school history classes, 1942 was mid-World War II. During this period, famine pervaded dozens of countries. This is when Oxfam stepped in with food, aid, and basic necessities for the poor. It was their mission to support the tens of millions of refugees in Europe. Today, Oxfam still has its gaze set on ending the injustice of poverty not just in Europe but around the globe. They have more than 70 years of experience in more than 9 countries! Some of those countries include Myanmar, Niger, and South Sudan, which I’ll expand on. Oxfam International has been active in Myanmar (a.k.a. Burma) since 2008 where its mission is to champion women’s rights. As HRC once said, “Women’s rights are human rights.” Women have been able to organize, network, and actively influence political processes within their villages and towns. Oxfam supports about 30 female politicians and works to get their voices heard. Niger, the least developed country in the world, suffers a plight of issues. Some of them include malfunctioning food markets and adverse climate change effects. Nigerians suffer from serious malnutrition causing nearly 50% of all child deaths. Oxfam has installed water points and sanitary toilets in malnutrition areas, helping 15,000 mothers and their children. They also train community members to improve hygiene standards and to keep children healthy. For over 30 years, Oxfam has been providing clean and affordable water to families in Juba, South Sudan. In 2013, South Sudan experienced a cholera outbreak. In response, Oxfam helped more than 540,000 people get access to safe drinking water by constructing water facilities and training communities in Juba to prevent the spread of cholera. We believe in Oxfam’s motto: “The Power of People Against Poverty.” This compelling statement summarizes their cause in a powerful alliteration of just six words. Poverty does not only have calamitous effects for those who suffer from it. Poverty affects us all and does not discriminate. In a study done by British epidemiologist Richard Wilkinson over the course of 30 years, he concluded that increases in income inequality directly translate to increases in health and social problems such as infant mortality and social mistrust. This November, let’s fight the injustice of poverty – together. Along with Oxfam, we can be the voice of the tens of millions of underprivileged, underrepresented, and underfunded people. If you’d like to donate directly to Oxfam International, and to any of their nine projects, please do so here. Already donated to Oxfam? Tell us about it! Learn more about our giving campaign and connect with us on Slack or Twitter.